HCC MEMBERS STREAMTHE LATEST EPISODE HERE! buried treasure radio for free! 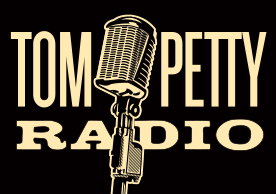 Music from Rock & Roll Hall of Fame Inductee Tom Petty, including his acclaimed Buried Treasure radio show, and exclusive tracks from Tom’s personal archives. Mark Felsot began his career in radio as an intern at rock station KLOS-Los Angeles in the late 70’s. Over the years, he’s worked as a producer on Little Steven’s Underground Garage, Breakfast With The Beatles, and co-producer of the exclusive SiriusXM series,"Tom Petty’s Buried Treasure" Mark is a lifelong Santa Monican. He likes his pancakes pumpkiny, his wine red, and his Tom Petty loud. He’s been keeping the beat professionally since the 60’s and as a member of the Heartbreakers for over 20 years (yet he still considers himself the new guy in the band). As host of the New Guy show, Ferrone steps out from behind the drum kit to share his celebrated musical history along with his passion for all things Tom Petty. Celebrities, longtime friends, and family spin their favorite songs. He's spent over four decades covering the biggest names in rock, and now Rolling Stone journalist David Fricke brings that experience to Tom Petty Radio. Listen as David plays songs from Tom’s entire Rock & Roll Hall of Fame career including solo music, rare tracks, live cuts, new exclusives and more! Bill is an author, a TV executive and one of rock’s most celebrated writers. He has also written essays and liner notes for various Tom Petty projects and it is this musical knowledge and creativity that he brings to each episode of Flanagan’s Wake. Right Down The Line: The Best Of Gerry Rafferty”….